Searching for a thoughtful gift for a special someone? This holiday season give a gift that will do more than just the recipient good. With the purchase of a Good To-Go! holiday card, you can spread a little holiday cheer to 1,000 kids in Warren, Washington and northern Saratoga counties! These kids need our help to eat three healthy meals on Saturdays and Sundays. Purchase a Good To-Go! holiday card and a donation (minimum of $25!) to the campaign will be made in the name of your loved one. We will mail the card on your behalf to the recipient, and the donation will help us reach our goal of raising $50,000 to support weekend backpack programs that feed local kids. 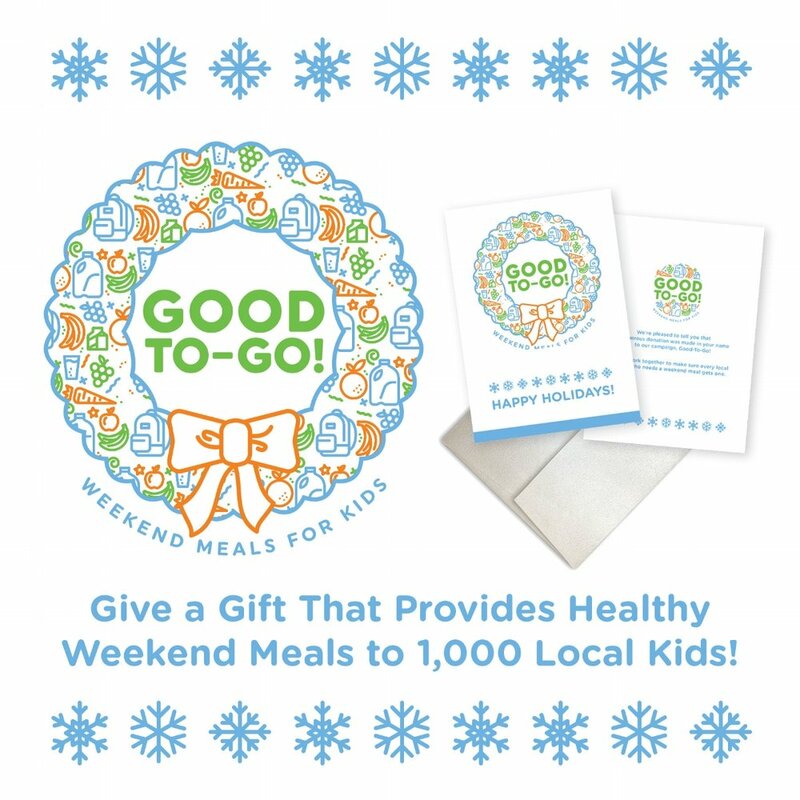 All funds received for Good To-Go! will be distributed proportionally, based on the numbers of children served, among the Open Door Mission, the Regional Food Bank of Northeastern New York, and local school districts with School Backpack Programs. Additionally, The Foundation will cover the processing fees for online credit card donations and holiday card purchases, so 100% of your money will help feed the children. You can learn more about the campaign here. It’s the season of giving, so give a gift that gives back!